Disclaimer: I received Knockaround Fast Lane Sunglasses as part of being a BibRave Pro. Learn more about becoming a BibRave Pro (ambassador), and check out BibRave.com to review, find, and write race reviews. I do not like it, when things get in my eye. This includes, but is certainly not limited to rain, snow, sand, wind...you get the point. I wear sunglasses, even when the sun is not expected to appear, not just for eye protection but also to disguise my appearance. When I had the opportunity to test out the Knockaround Fast Lane Sunglasses, you know I jumped at the chance. The Fast Lanes fit snug and are thinner than other sunglasses around the ear, which allows for use with AfterShokz, which also fit over the ear and can sometimes cause discomfort, when used with other sunglasses. I tried out the green Fast Lanes, which matched all of my Michigan State University outfits, this was especially helpful, during March Madness. The lenses provided sufficient protection from the sun (FDA-approved and impact-resistant lenses with full UV400 protection). The thin arms that go behind the ear fit snug and I never needed to adjust them as a result of movement. I also wore the glasses for a long road trip, during Spring Break, and they were perfect for driving. I expect that these glasses will get "borrowed" by a family member in the very near future. The Knockaround Fast Lanes are very reasonably priced (suggested retail $15) and with the BibRave discount code of BIBRAVEKNOCKS1 will save you additional 20% (one-time use, valid until 4/18/19). 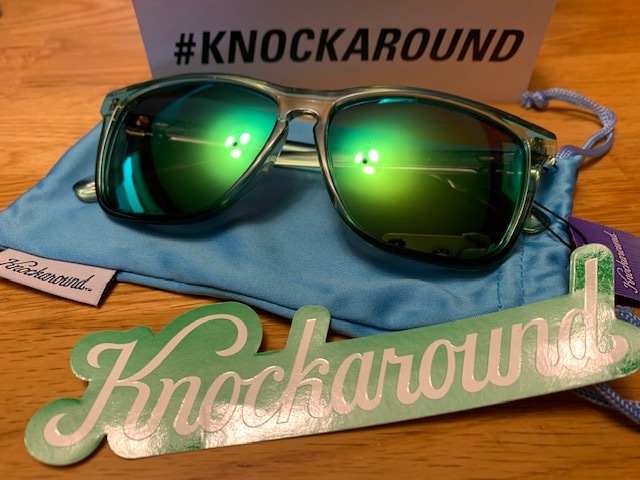 Finally, tune into #Bibchat at 9:00 p.m. on Tuesday, April 16th, with BibRave and Knockaround for your chance to WIN a pair of Fast Lanes. Looking for a last minute Spring Break race? Check out the Savannah Publix Women’s Half. If you are driving back North, after spending time in the warmer, Southern States, this is practically on your way home and the timing couldn't be much better (the race is in less than a week)! On Saturday, April 6th, women will have the opportunity to run down tree-lined streets, around 12 of the city's scenic squares in the historic district before a picture-perfect finish at Forsyth Park Fountain. Be sure to pose for that picture by the finish line before heading to the post-race party, which offers mimosas, music and so much fun. Because of family schedules, I am unable to run this race as planned, this year, but if you would like to join in on the fun, use discount code BIBSAV20 to save 20% on your registration. Use code “WWBIBRAVE” - good for 10% off across all events! (5K, Half Marathon, Marathon, Marathon Relay). Use code “18RWBBIBRAVE” - this code is valid for 5% off the entry fee for the first 50 people to sign up with this code. This code expires on July 3 at 6:00 p.m. or after 50 uses has been reached. Use code “SAVE10" for 10% off! BibRave is a running community that connects runners with the best races. It's the place to research races you’re considering signing up for, and a place to leave feedback on races you’ve completed. BibRave is also a way for races and running brands to connect with socially savvy runners - through our popular weekly Twitter chat, #BibChat, and our large ambassador network - BibRave Pros. The list below captures all of the current active BibRave partner race discount codes. 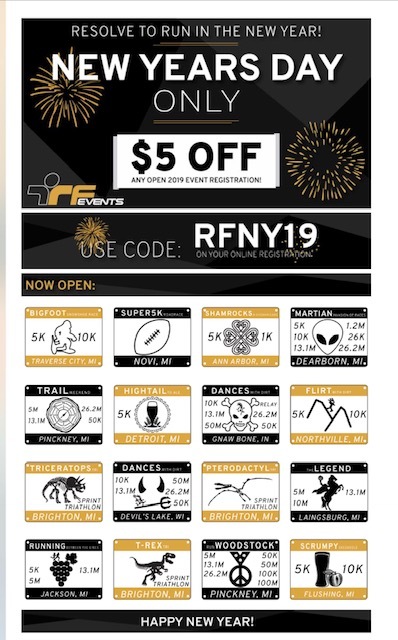 Use the codes below to receive discounts on registration for our partner races. Visit https://www.bibrave.com/ for more information and contact info@bibrave.com with any questions! Disclaimer: I received a Turtle Gloves to review as part of being a BibRave Pro. Learn more about becoming a BibRave Pro (ambassador), and check out BibRave.com to review find and write race reviews. Winter in Michigan can be brutal, especially if you enjoy running outside. February seemed to be extra painful, with the Polar Vortex and the incredible wind and below freezing temperatures. I received these gloves to test in late February, so I have had about three weeks to test this product. Each time I have tested these gloves, it has been below freezing. I have to remind myself of this as when it was 30* I was so excited to go for a run, acting like it was Spring. I started each run in regular glove mode. My fingers felt cold for the first mile (10-11 minutes) but once my body warmed up, so did my fingers and each time, I ended up needing to poke my fingers out because my hands were so hot (sweating hot). The gloves allow for the rolling down of the sleeve, so it can feel like fingers are covered in fleece with a little air sneaking in or you can roll them down completely and have fingers exposed. I have had to wash them a few times (regular, cold water) with the rest of my running clothes and they came out just fine. For me, the main appeal to these gloves is the ability to stick my fingers out. I have problems taking pictures, skipping songs on my AfterShokz, etc with regular gloves and mittens, so the ability to flip the mitten style to a long sleeve or to allow my fingers to be free was very nice. When I received my pair of Turtle Gloves, I was excited to learn that they are made in Michigan! Therefore, as a Michigander, I was even more excited to test Turtle Gloves! These gloves come in a variety of colors, patterns and sizes. To purchase, visit Turtle Gloves and use discount code "TurtleBibRave" for 15% Off. Interested in reading other reviews of Turtle Gloves?